Tian's 843881 lab coats feature plastic snaps, elastic wrists closure, and three pockets. 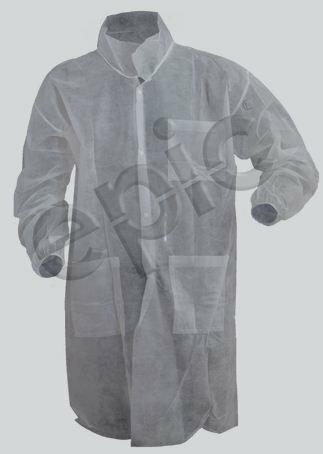 Garment is constructed from Environstar-SPP spunbonded polypropylene fabric which is cloth-like and has exceptional breathability. Individually inspected for sizing, stitching, and workmanship. White garment with white snaps. Please review the chart below to determine your accurate lab coat size for Tian’s International.